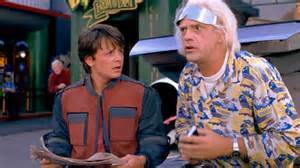 Writing with Style 2: Could we go back to the future…tense? When I first started writing, I read all sorts of advice regarding verb tense and which ones are suitable for novels. I’ve written about this once before but focused only on the present and past tenses. Basically, most of the advice I read said to either use one or the other, preferably past tense because it’s easier. Now, for most new writers this is probably sound advice, but for me it didn’t work. I wrote my first novel, Farmers and Cannibals, primarily in present tense to make it feel more like a movie. That fit the book because the characters were unknowingly participating in the recording of a propaganda film. It was nice using present tense because I could switch over to past tense to create seamless flashbacks, and I was able to draw a distinction between the filmed actions of the characters and the filming of those actions using verb tense alone. And for me at least, despite the advice I’d read, it worked. So, what’s my point here? It’s this: the type of advice that says to ALWAYS do this, or NEVER do that in writing is inherently flawed. Writing evolves not because someone didn’t do something; it evolves because writers DO challenge conventions and AREN’T afraid to experiment with new forms of expression. 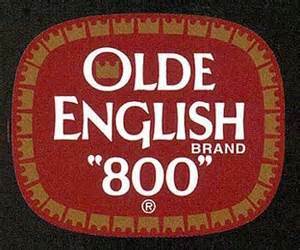 Think about it, if writers didn’t challenge convention, we’d still be writing in olde English. And that stuff is awful. Speaking of challenging convention, I’d like to talk about another verb tense that gets a bad rap in story telling. I’d like to talk about the future tense, and the ways in which it can be purposefully used to foreshadow events and create suspense. In this I used past tense for the narration and a combination of present tense and future continuous tense for the dialogue. The future continuous is in BOLD. Primarily, the future tense verbs are used to foreshadow events to come by highlighting an inescapable future conflict for the protagonist. This type of paragraph could work anywhere within a chapter or story. Because the tense changes are in the dialogue, it’s unlikely that a reader would get confused. 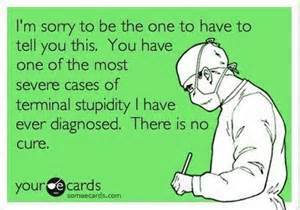 Well, unless he or she suffers from severe stupidity or some other intellectual handicap. Elton sat alone at the breakfast table with a bowl of cheerios and a sour smirk. His mouth was still cut open, and his right eye was swollen. It was just black, no blue. He looked up from the cereal and pictured his mother standing there with her arms folded across her chest. She wasn’t actually there. He just pictured her there telling him that he didn’t have a choice, that he would still have to go to school. I won’t go, he thought. She can’t make me go. He heard her footsteps coming down the stairs. Her arms weren’t folded across her chest but her eyes were hard. She didn’t say a word. She didn’t need to. He will be going to school. As you probably noticed, this example isn’t nearly as seamless as the first. It would be a challenge to transition back to the past tense. But it still works to foreshadow the same inescapable conflict as the first. This would work at the end of a chapter as a cliffhanger leading into the next. It could also be used to open a chapter, especially if an additional space is given before the next paragraph. The point is that it’s more suspenseful. Compare the line “He will be going to school,” to the past tense equivalent, “He went to school.” In past tense, the line doesn’t stand out like it does in future. It doesn’t cause the reader to pause and think in the same way. So, that’s it for today. If you know of any other ways that authors can use the future tense, feel free to post those in the comments section. If you liked this, share the love by hitting that like button, sharing on twitter or facebook or whatever social media you’re into. If you’d like to check out my fiction just click this link: BOOKS. Each book has an Amazon Link and Farmers and Cannibals, my first novel, is on sale this week. Click the picture of the book below for the Amazon link with the special promotional price. As always, thanks for reading and have a nice day.